Having returned just a couple of days ago from a short Summer trip, I still seem to have airplanes and airports on my mind. Although it wasn’t practical to take any sewing (hand-work, that is) along with me, that doesn’t mean I have not been thinking sewing, fabrics, patterns and fashion. In fact, while I am still physically (and mentally) working away on my “couture dress”, another part of my brain is thinking about Fall and Winter, getting my projects listed in some sort of order. I’ve started envisioning them all lined up on the “runway” – kind of like planes all queued up and waiting for take-off. Some big, some small, some already late, others sneaking in before their time! Which ones will have to return to the gate? Which ones will be smooth flying – and which ones will hit that proverbial turbulence? Paired with the suit skirt, an overblouse in this fabric will make a variation on the “little black dress” – just in two pieces instead of one. 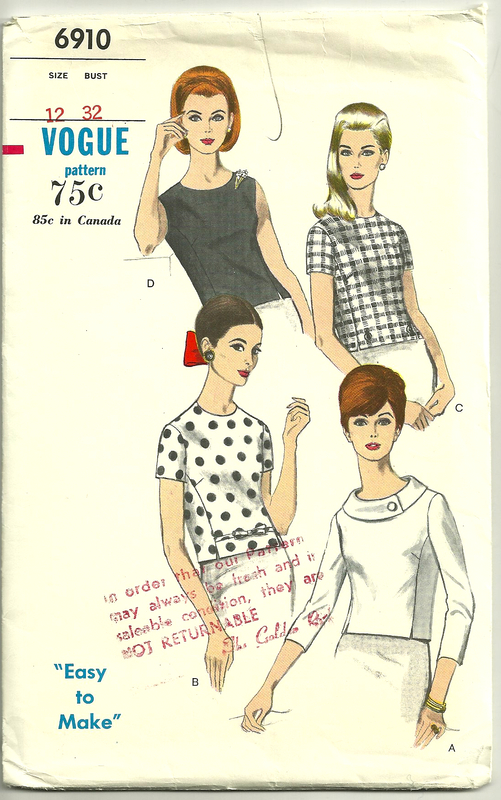 I recently found this pattern, view D, which I intend to use for this blouse. I am so fond of the “Dior darts” which give a lovely silhouette to a bodice. I’ll definitely make a muslin of this pattern to check the fit. After that, I know I’ll be working on a dressy suit, which I need for a wedding and another event mid-Fall. 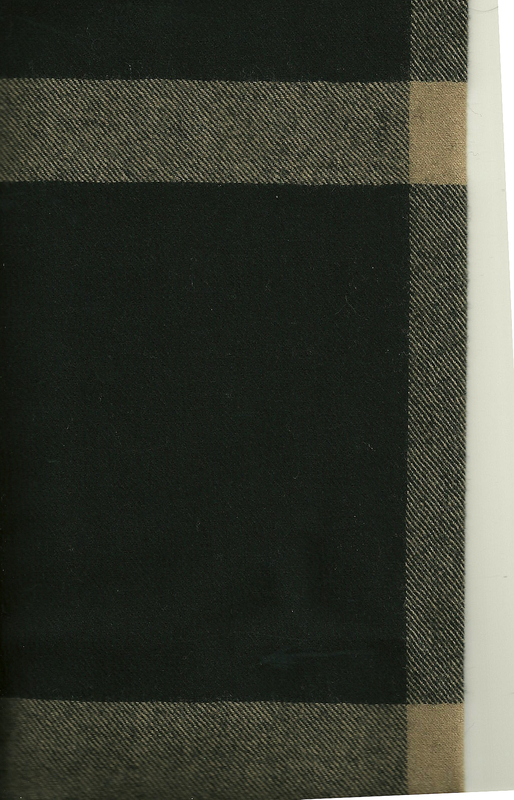 I found this wool at B and J Fabrics which I’m about to order to use for the jacket. I am still on the hunt for a slightly orchid-colored pink in light- weight wool or heavier silk to coordinate with it for the skirt. This fabric, a wool/lurex blend, has a bit of sparkle to it. I have a lot of yardage of this fabric, so I have flexibility in choosing a pattern. I’ve had this fabric for several years. 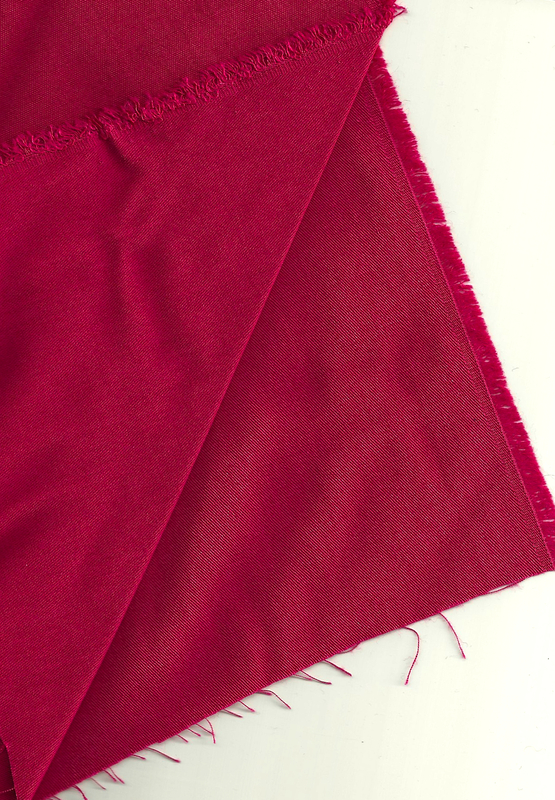 It is a wool/cotton blend with the perfect weight for a Fall dress. However, I can’t decide on what style I should make it in: shirtdress, sheath, tailored or not? If I can’t decide, then it may just have to go to the back of the line. This is actually alpaca – and very, very soft! 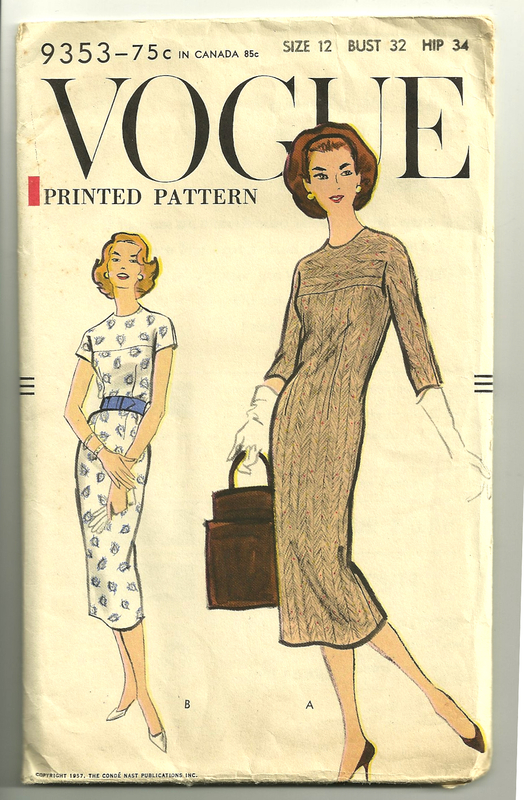 The length of this dress as shown on the envelope is very 1950’s. I’ll be making it in knee-length. The back of the envelope shows the versatility of the belt, which can be included – or not. Think of the endless possibilities with changing the belt on this dress, especially with a basic black and white herringbone weave: it would look great with red, pink, orange, black, green, or even bright blue. 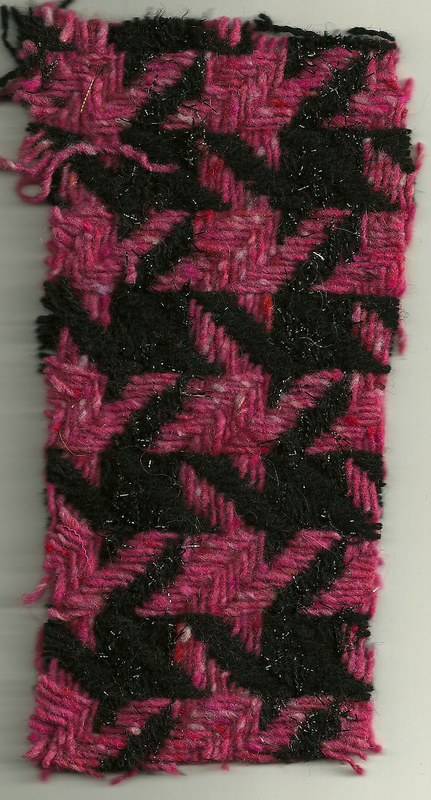 This pattern will give me more practice on the couture techniques I’ve been learning, too. I love that the drawings include the handbags! Another subtle windowpane, this one in navy with deep red and ivory intersecting lines. 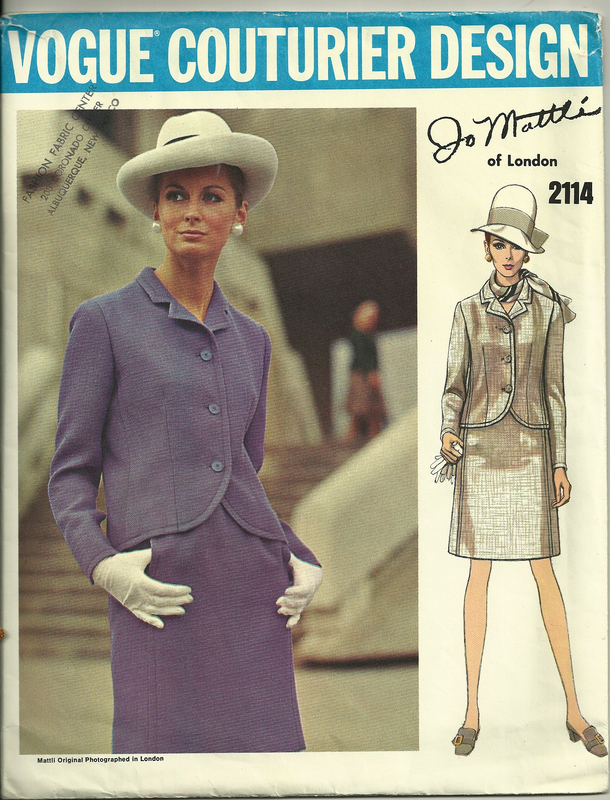 This pattern is circa 1970. Well, if all I had to do between now and December is sew clothes, I might get most of this done. However, interspersed amongst this fashion sewing will be several “gift” sewing projects, which are going to sneak their little wings into line, along with holidays! No matter – among other things, sewing encourages flexibility and, like flying, can take us to places of great adventure and quiet reflection. No wonder I – and so many, many of you – love to sew! What about a bright pink Molyneux dress with your undecided fabric? A little wool in the short-sleeved version would be a great fall dress! I love your fabric with a little sparkle! I have some coppery-brown herringbone wool-blend with little metallic threads of copper running through it – I really want a fall dress out of it but I can’t decide on a pattern. I also have a greyish-brown of the same fabric with multicolored metallic threads through it, which will probably be hats in the end. Gosh, I hadn’t thought about using “our” Molyneux pattern for that pink fabric…. H-m-m-m.
I’m not usually a “sparkle fabric” person, but the glimmer in that houndstooth wool is just the right amount to make it interesting. I’m still deciding on a jacket pattern for that fabric, but I’m close to making a decision. I so enjoy reading your blog. 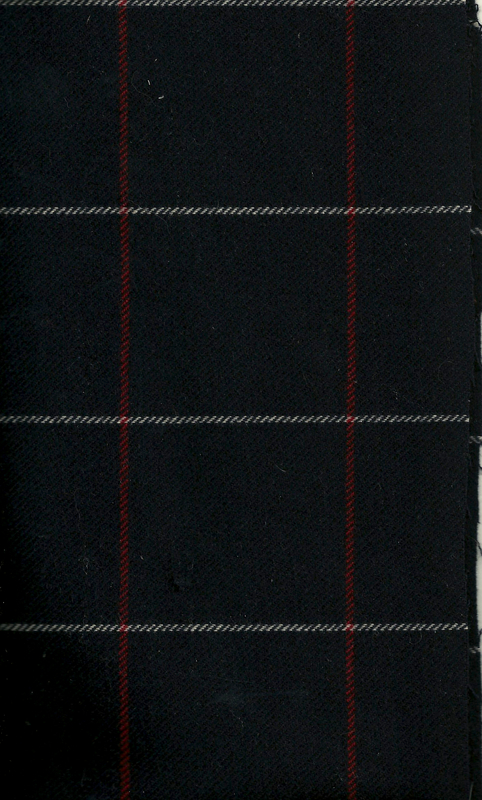 I love the whimsey of the bound buttonholes on the plaid suit being light on dark and dark on light. I took a clothing construction class several years ago taught by a wonderful retired home economics teacher. She brought her college textbook to class: “Clothing Construction” by Evelyn A. Mansfield. Houghton Mifflin Co., 1953. I found a copy for 75 cents at a local thrift store a few years later. It is an excellent text that I plan to use as I work on a wool cardigan jacket. That sounds like a wonderful book, Carol. I think it is so interesting how sewing basics, fine sewing techniques, and construction tips have not really changed a whole lot in over 60 years. 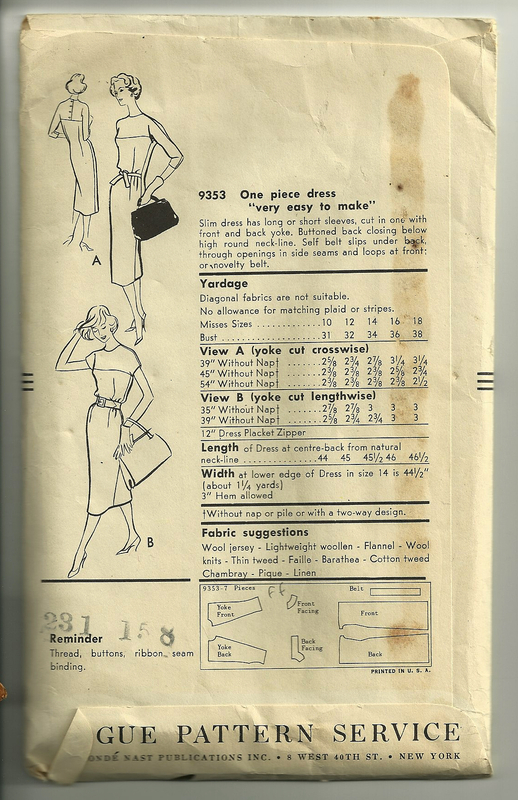 We certainly have some innovative and clever new products to help us in our sewing, but we can learn as much from a 1950s’ book as we can from a current one! Best of luck with your jacket – and thanks so much for reading and commenting!